On the 8th and 9th July a group of 17 Year 10 students took part in a training weekend for our Duke of Edinburgh expedition. We walked around 30km. Although it rained on the first day and some groups were momentarily misplaced, we all got to the campsite safely and were able to complete our practice weekend, ready and prepared for the final expedition the following weekend. 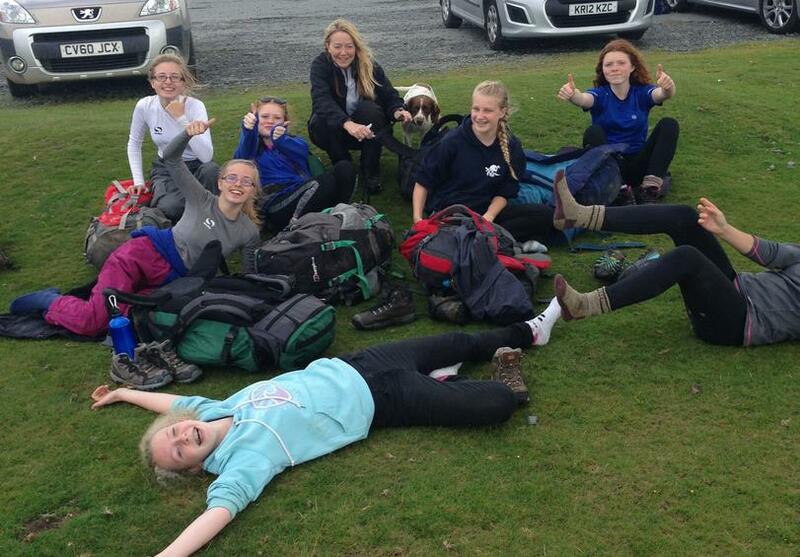 During the weekend of the 16th and 17th of July a group of Year 10 students took part in the Duke of Edinburgh award. Although it was tiring it was a great experience that was thoroughly enjoyed by all. The Bronze Award, which we were participating in, consisted of two 6 hour days of walking and camping for one night at Dewerstone Cottage, where we had to cook our evening meal and make our breakfast. We learnt many new skills such as map reading and working out compass bearings to navigate ourselves to the campsite and final destination. Whilst working each group had to do a project which we had to present as evidence to be able to complete the award. Everyone worked well as a team and walked roughly 30km over many tors. The pupils showed real resilience, perseverance, team work and determination to complete their Duke of Edinburgh Expedition. I was extremely proud of their achievements. Their fantastic attitude and self-reliance enabled the weekends to run smoothly and I have enjoyed being a part it.